I have been seeing various Mt. Rushmore-type lists for a handful of NFL teams recently. It seems to be a trendy thing to name the four most important figures or players in a particular team’s history. It got me thinking about who would belong on a Mt. Rushmore for the American Football League. I had initially thought it would be a pretty easy exercise – Namath, Alworth, Blanda and Bell, perhaps? I think the first two are pretty solid, but spots #3 and #4 would probably be contested. But then I thought a bit more deeply and decided that because of the nature of the league, any Mt. Rushmore would be incomplete without Lamar Hunt. So who do you bump off? Bobby Bell, perhaps the greatest pure football player the league ever saw? George Blanda, who came out of retirement to lead the Houston Oilers to the first two league championships, and then achieve legendary status as a sometimes quarterback and kicker for the Raiders? What about Hank Stram or Sid Gillman? Al Davis was pretty damned important to the league as well, both as a coach and short-time commissioner. Joe Namath – No, he didn’t have the greatest stats, and he threw a lot of interceptions, but Namath brought publicity and legitimacy to the league. His guarantee and Super Bowl III victory cannot be discounted in over AFL importance. Lamar Hunt – The founder of the league, and driving force behind its success and eventual merger with the NFL. Sid Gillman – This one will probably draw some complaints, but I feel he was quite important. Coming directly off a coaching position in the NFL, Gillman set a blistering pace for AFL head coaches in the early years, as well as illustrating to many how to be a head coach. Al Davis, Jack Faulkner, Chuck Noll, Bum Phillips and scores of others benefitted from being on his staff, and though his teams only won one league championship in five opportunities, many feel the ’63 Chargers were the first AFL team that could have beaten a rival NFL champion. The fourth and final spot on this list was ridiculously difficult to select. In the end I came up with another name that will likely be contested, but I have my reasons… Sonny Werblin. Yes, he only owned the New York Jets for five years, but he made an immediate and lasting impact on the AFL. First, when the AFL’s representation in the largest city in the country was about to go into bankruptcy, Sonny Werblin bought the franchise and quickly provided financial security. He then negotiated a television deal with NBC which provided a huge influx of cash to all AFL franchises, and allowed them to continue fighting the NFL for high-priced rookie talent. Werblin signed Joe Namath to a record-setting contract in 1965, which in turn brought the NFL the realization that soon o team, regardless of league, would be able to afford escalating layer contracts in the leagues could be played against each other. 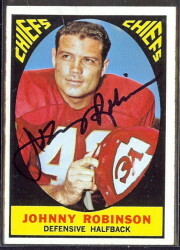 Lastly, shortly after he sold the Jets, the team that he built stunned the world and won Super Bowl III. Agree or not, that is my Mt. Rushmore – Joe Namath, Lamar Hunt, Sid Gillman and Sonny Werblin. What do you think? 39 Responses to Who is on your AFL Mt. Rushmore? I have three Mt. Rushmore’s for the American Football League. The first for Executives, the next coaches and then finally players. 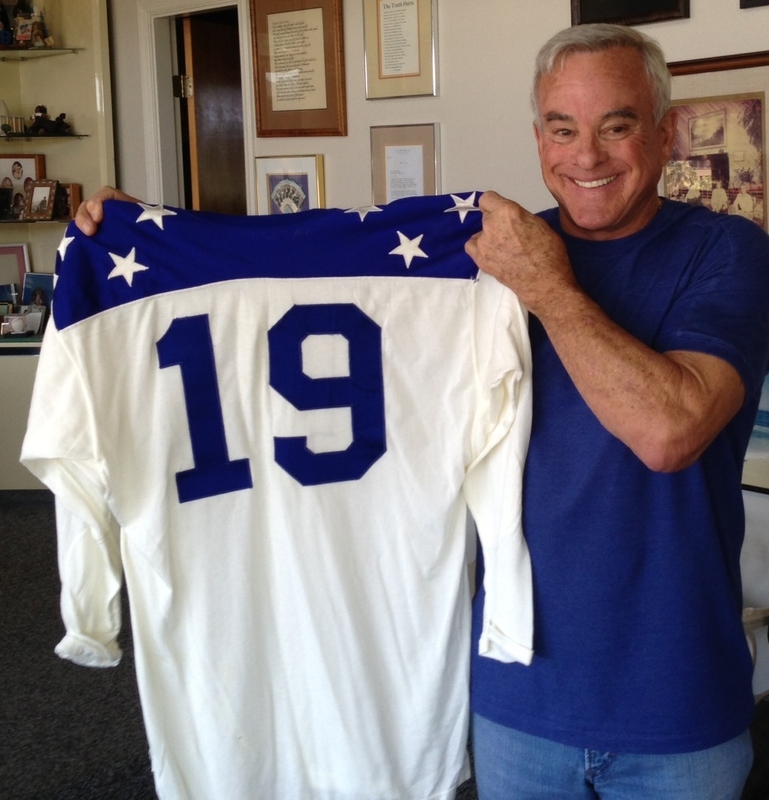 I think that’s pretty fair for this long-time AFL fan, who still remembers the final AFL All-Star game in 1970. Interesting that there aren’t any defensive players on your list, Ken. No Bobby Bell. Still, it’s hard to disagree with the importance of anyone on those lists. Thanks for the response, Todd. Honestly, I didn’t give that a thought, but perhaps I should have. And no, it wasn’t because I thought there was no defense in the AFL! LOL Maybe I can create one for the defense. Namath, Jack Kemp, Cookie Gilchrist, Haven Moses. I cannot, not play the home team card here..so I would look at some Buffalo Bills…withthat said..Didn’t Ralph Wilson bail out Al Davis..and pretty much save the leage for awhile ? maybe some consideration there for a Foolish Club member..as well, it was a strange career..but Cookie Gilchrist as a player and then as a man if conviction for the boycott on the AFL All-Star game over the racial conflicts of the time …maybe they are number 5 and 6 on the Mountain just across the river ?? Need to condider Billy Shaw, the only player in the Pro Football HOF who spent his entire career in the AFL! Great stuff, everyone. Let’s see someone tackle an all-inclusive list – players, coaches and execs all eligible. I vote for Chris, he was there. I like Todd’s list for short and sweet. One thought I have is why the name of Bud Adams has never been mentioned in these various blogs? He and Ralph Wilson are the longest serving owners, yet never a mention. Even today when owners are mentioned, Bob Kraft, Jerry Jones and a few more are noted. You never hear of Bud Adams having any impact. I like Jeff Miller’s list with the exception of Jack Kemp. I would sub in Lenny Dawson. Jack Kemp, 2 time AFL champion, played in 5 AFL championship games, 1965 AFL MVP, at or near the top of the all time AFL passing yardage stats. 10 year AFL player. Any player the grudging NFL recognized must be a face upon their Rushmore, the stodgy one’s Hall of Fame; ditto the non-player enshrinees too. How can one leave off Al Davis or Lance Alworth? With regrets, as all the rest same who deserve chiseling. Truly, none who were a part the AFL can ever be forgotten… the fact that 43 years aft its demise, websites and folks like us still revere said is proof positive. Admire your modesty but Burford would fit in very nicely with that group. Thx Jimax….but always considered myself more as a dependable “journeyman” not the star of the league…..but appreciate the good thoughts! Grantham may come as a surprise, but he played all 10 years in the AFL & was outstanding in the 2nd half of Super Bowl 3. That’s a great list! All of them are. 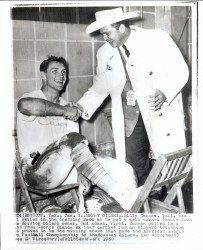 You are quite right about Sid Gillman. That should not draw complaints from anybody. Once he joined the AFL, he pioneered film study and many other things & was an advocate of the forward pass & knew that the best way for the AFL to draw fans was to put the ball in the air & he was right. A tough one to pick four. 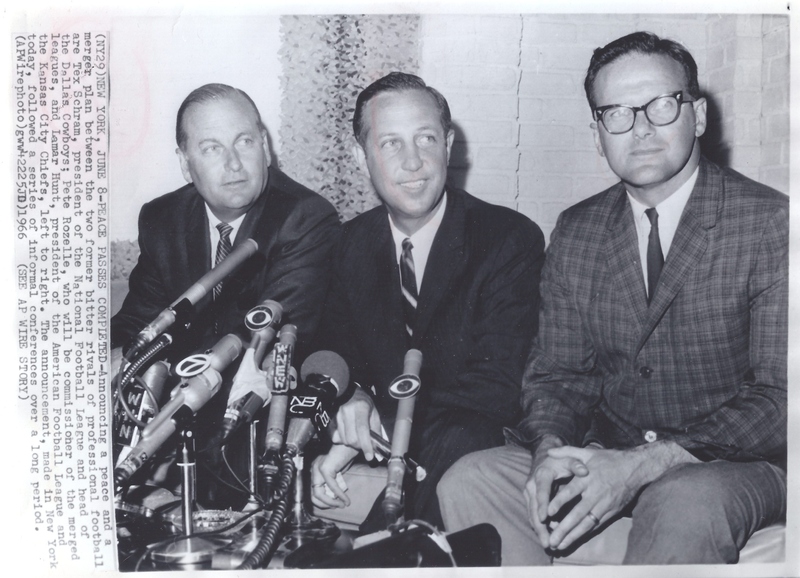 Here’s mine, Lamar Hunt, Al Davis, Joe Namath, and Lance Alworth. If you go back to year one 1960 and select a player from each of the eight teams it might look like, LA Kemp or Mix. Oakland Otto or Flores, Denver Frank Tripucka, Gene Mingo or Lionel Taylor, Dallas Abner Haynes, Houston Blanda, Bills Billy Shaw, NY Don Maynard and Boston Gino. The tough part is choosing only one from each of the original eight teams. Billy Shaw can’t be on a 1960 list as he didn’t start his AFL career until the following year. I like Chris’ idea. Start with a mountain for each of the original eight franchises. Since there can only be four on a Mount Rushmore – and, because the AFL will forever be remembered as a high scoring offensive league: Lamar Hunt of course, along with Joe Namath, Lance Alworth, and “Mr. 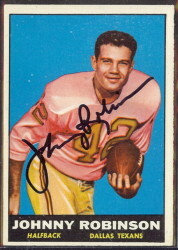 AFL” Jim Otto. Thx Dave…I like a mountain for each team which would make for a magnificent “range”! This is a mountain of a task (pun intended), but it’s too fun of a question not to tackle (pun intended). I’m the first to admit my knowledge is limited. I wasn’t there. As I’ve said numerous times, I started reading about the AFL in childhood, in the late ’70’s. I’m choosing players for my list, and I know offense better than I know defense. Here are 4 players I knew about in childhood, and what I’ve learned about them in adulthood has only confirmed their importance and the impact they made. COOKIE GILCHRIST: He hasn’t been forgotten, because he was one of the first AFL players I knew about. Powerful runner, yet he also had speed, good receiving skills, and the ability to kick. I’ve read that he was a great blocker, too. A major force on the Bills’ 1964 Championship team. 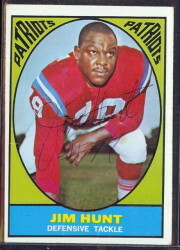 Art Powell, All-Time All-AFL wide receiver, says: “The greatest football player I ever seen is Carlton Chester Gilchrist.” The famous Freddie “The Hammer” Williamson, All-Pro defensive back, says: “If you got in his way, I mean, it was him or you, and he usually won that battle.” Have I said enough? No, not even close. He was intense, both on and off the field. A forthright civil rights activist, Gilchrist led the boycott of the 1964 All-Star Game in New Orleans because of the way black players were mistreated there. The game was cancelled and subsequently moved to Houston. JOE NAMATH: One of the first games I ever read about was the landmark Super Bowl III win over the Colts. That was a huge win for the entire American Football League. Namath is so well-known that I don’t see a need to go into a lot of detail here. One of my first memories of watching football was the 1977 Mud Bowl, when the Vikings beat the Rams in Los Angeles, 14-7. Namath, as a backup on the Rams, was sitting on the bench in the rain. That wound up being the last game of his career. That was my only time ever seeing him (as a player) on TV, but even as a brand-new football fan, I knew exactly who Namath was. Good choices. Especially Otis Taylor.